Home Digital Marketing Your Sales Training Is Broken. Here’s How to Fix It. You might disagree, and that’s okay. 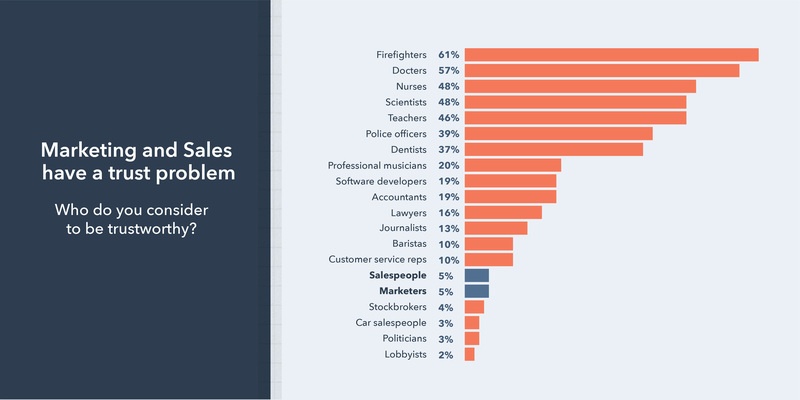 Representations of salespeople in popular culture (and frankly, the personality profile we’ve been taught to associate with a “typical” salesperson) haven’t always fit this mold. It’s time for a mental reset. The best salespeople have always been subject matter experts, put the customer first, and led with their authentic selves. But today, buyers put less trust in us than they ever have, market competition is fiercer than ever, and these traits no longer separate the best salespeople from merely good ones. These are the skills your sales team needs to survive. A unique tension exists in the transition from individual salesperson to sales manager that can lead to ineffective coaching. I often work with new sales managers who think, “If these tactics and scripts worked for me, they’ll work for my team.” In effect, the manager aims to create a team of mini-me’s who will sell and act the way they do. Sometimes, this works. But if this is your management philosophy, I’d bet your team is performing below their full potential. I didn’t always want to go into sales. I enrolled at Harvard Business School after spending a few years in finance. On my third day, one of my professors said something that lit a fire: Most Harvard MBAs don’t know how to sell. They might build a brilliant product, but they’re clueless about how to promote it and demonstrate value to potential buyers. That generalization included me. On top of not having sales experience, I’m also your typical introvert. I thought if I wanted to be successful in my career, I needed to change my personality to get closer to the extroverted ideal: outspoken and powerful. Part of that transformation meant learning how to sell. My excitement didn’t last long. On Day 1, I was rejected more than I’d been in my entire life. I sounded terrified on the phone. My first manager, a classic extrovert who’d spent decades in sales, tried giving me specific lines and soundbites to use on calls. He soon realized I wasn’t seeing results by mimicking him, so he pivoted. He set me up with successful salespeople who were more like me than him, so I could shadow and observe them. It was a rough start, but within three years I’d been promoted to a sales manager. Today, I’m the vice president of our Global Agency Partner Program. What I assumed would be a six-month gig turned into a 10-year career. 1. 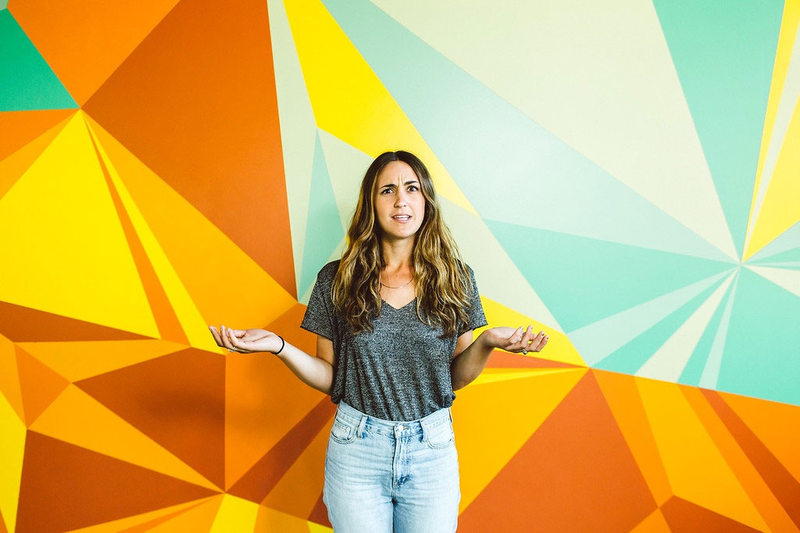 There’s no such thing as a typical salesperson anymore. Today, this couldn’t be further from the truth. Buyers research their own problems and potential solutions independently. Products are more replicable than ever, and buyers typically have dozens, if not hundreds, of vendor options. Relationships and trust are as important as ever, but they’re not built on shallow rapport. Buyers are looking for business advisors they can trust to craft unique solutions for their unique circumstances. Salespeople aren’t gatekeepers anymore — the sales process can largely happen without us and we need to add unique value along the way to ensure our prospects choose us, not our competitors. The profile of a “good salesperson” has evolved. Changes in buying behavior have shifted the center of gravity in the sales process from personality to trust-building, opening the door for historically atypical personas (like me) to have amazing sales careers. This doesn’t mean people who do look like the historical sales persona can’t be successful in 2019 — but they need to build new muscles and layer a customer-first mentality on top of their existing skill set. Nor does this mean we should start only hiring introverts or business school graduates. However, it is time to acknowledge that the idea of a “typical salesperson” is dead. Sales managers who try to create teams of mini-me’s will be successful … to a certain extent. Some guidance is better than none, and playbooks are a crucial part of any effective sales process. But it’s not enough. There is no effective one-size-fits-all coaching model that accomplishes these goals — I’m living proof of that. It’s worth pointing out that this mini-me mindset has likely contributed to the negative perception consumers have of salespeople. 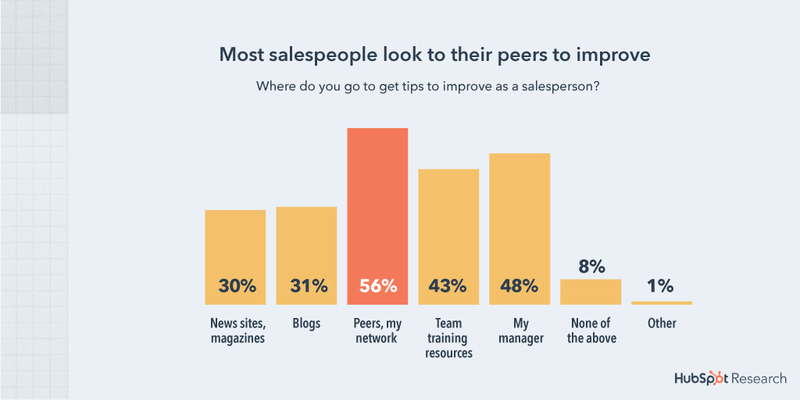 Only 5% of prospects consider salespeople to be trustworthy, and many buyers find it difficult to form a personal connection with reps. Why? I’d bet it’s because a lot of us are trying to act like someone we’re not, and buyers see right through it. We need to take a cue from our buyers. Every sales process looks different — buyers vary in sophistication, where they are in the sales lifecycle, the goals they’re trying to achieve, and problems they’re trying to overcome. With so many variables at play, it’s difficult to be effective through rote memorization and following sales scripts. Instead, managers should tailor their advice to the selling motions a salesperson is struggling with, in a way that leans into the salesperson’s strengths. The best salespeople lead with their authentic selves. When I started out in sales, I got fairly basic advice for building rapport — identify commonalities, mirror a prospect’s tone and language, and create familiarity through small talk. If this is genuinely how you connect with people, these tactics can be effective. But if they don’t come naturally to you, it will be obvious. Today’s buyers are savvy, and the moment they feel you’re presenting yourself inauthentically, they’ll start doubting the rest of your advice. More importantly, they’ll be less willing to disclose their problems, pain points, and goals to a partner they don’t find genuine. Training by example is the classic coaching technique. Managers show reps successful recordings, scripts, and techniques for them to apply to their work. It’s effective so long as the manager provides examples that are authentic to the rep’s selling style. Training by inquiry is more personal. Managers recognize that reps are able to independently solve a problem, so instead of concrete examples, they provide guidance based on the rep’s selling style. Salespeople need two types of process training: a qualification process to determine who’s worth moving through the sales process and an array of sales methodologies to apply to calls in real time. This process is unique to each business and typically can’t be replicated from company to company. Root this training in real data and results, keeping an eye on churn, retention, and customer success. Work with your customer support and service teams to understand where customers stumble and succeed and how to control for this in the buying process. Sales methodologies are frameworks that enable salespeople to build skills and improve their effectiveness at different parts of the sales process. They’re product-agnostic and applicable to a wide range of sales scenarios. Typically, they’re branded and sold as training packages, books, and so on. You’re likely already familiar with many well-known and widely-used methodologies, including SPIN, Challenger, and Sandler — you can read more about the most common sales methodologies here. Just as good-fit training teaches salespeople how to identify good-fit buyers, solution training focuses on how to handle different types of buyer problems they’ll face on calls. Solution training has two parts: Product training and solution training. Product training gets your team up to speed on what they’re actually selling. Salespeople should be soup-to-nuts experts in their company’s products and services — this is the bare minimum. 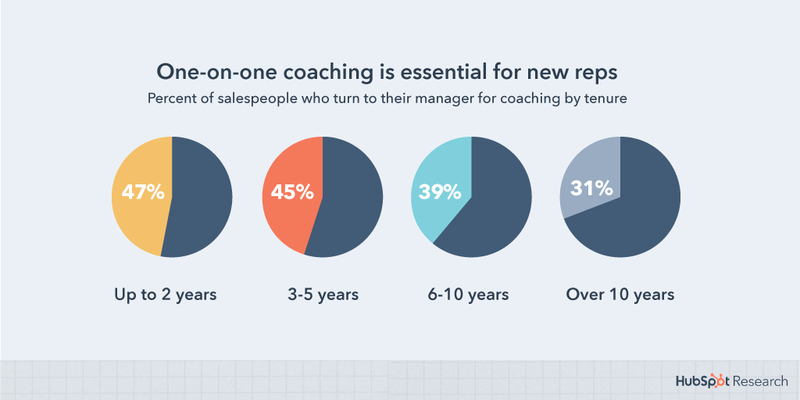 At HubSpot, coaching begins with determining incoming reps’ knowledge, skill gaps, and creating growth plans. Quinn sorts new sales reps’ raw skills into three buckets: knowledge, skill, and will. “Every individual has a mix of those three things, and that’s going to shape the way I engage with them based on where those levels are from empty to full,” says Quinn. All sales hires go through two weeks of standard onboarding that all new HubSpotters attend. Then, we provide an additional two to four weeks of sales-specific sessions depending on role and segment. These trainings cover how to navigate the HubSpot CRM, access leads, create templates and sequences, and more. Periodically, as we update our sales stack, we’ll run new team-wide trainings, but for the most part, operations training is covered during onboarding. In new hire training, we require all sales hires to play the role of their buyer and use the HubSpot product to create and grow a business’s online presence. This work is presented formally and graded via scorecard. Sales hires are also given extensive training on HubSpot’s qualification framework, personas, and so on. One way we do this is providing mentors for anyone new to their role, even if they’re not new to HubSpot. Typically top performers, sales mentors join a new rep’s calls and act as a safety net to help answer specific questions. Mentors step back over time as mentees become more independent, but this is an effective way to build peer relationships and encourage knowledge sharing. We also employ “ding notes”: emails that are sent to the entire sales team for every deal that gets closed. The email includes information on the buyer and the process of closing the deal. Not only is this a great way to celebrate wins — the dozens of replies you get after “dinging” your first deal are a treasured HubSpot rite of passage — it’s also a source of invaluable information the entire team can learn from. Michael Swope, Chief Business Officer at HomeSmart, also encourages his reps to openly share their success. “Our reps have weekly phone calls where they share best practices, tools, and successes they’ve had over the last week,” says Swope. Managers who fail to treat reps like individuals and nurture their unique talents create teams that are unlikely to perform. Guiding reps to sell authentically will lead them to listen more, build better relationships, and focus on the customer’s needs. While coaching, you may discover that there’s a gap between who your sales team is and who your prospects are. Next week, we’ll be talking about bridging this divide through hiring in sales. NEED HELP RETHINKING YOUR SALES STRATEGY?